There's nothing quite like the breathless feeling you get seeing these gentle giants at sea. 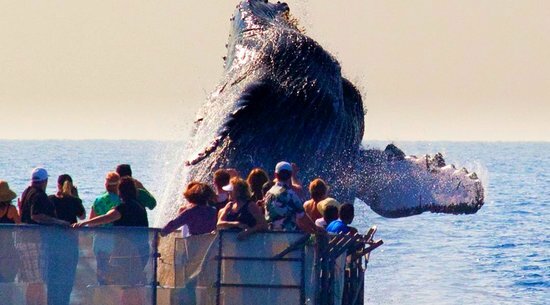 Of course you can watch whales from the beach, but there's nothing quite like seeing them up close on a boat tour. By law, boats aren’t allowed to approach whales by less than 100 yards, but there's nothing stopping curious humpbacks from coming even closer on their own. Tours depart from Ma'alaea and Lahaina Harbors daily. I recommend that you save yourself driving time and choose the closest harbor to where you're staying. 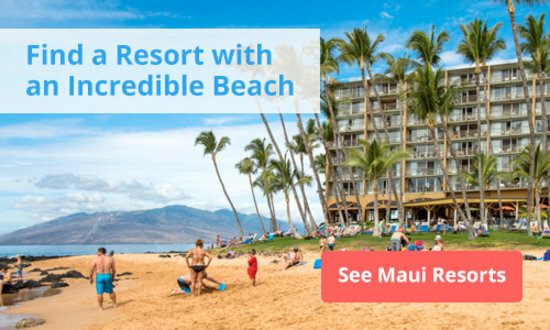 Ma'alaea Harbor is best if you're staying in south, central, or upcountry regions of Maui. Lahaina Harbor is best to go for a whale watching tour if you're staying in West Maui. If you're prone to seasickness, book a tour for early morning, when the seas are calmer. And consider taking anti-motion-sickness medication too – it's usually very effective. 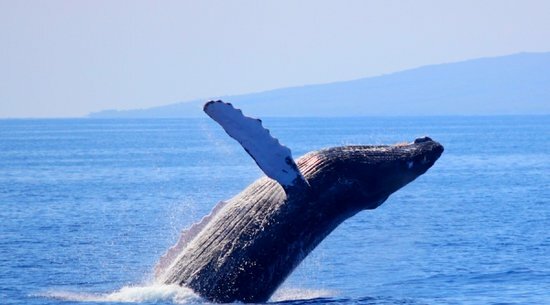 Without further ado, here are 3 of the best options for whale watching tours in Maui. Trilogy Excursions is one of the most well-known and highly rated tour companies on Maui for outings at sea. 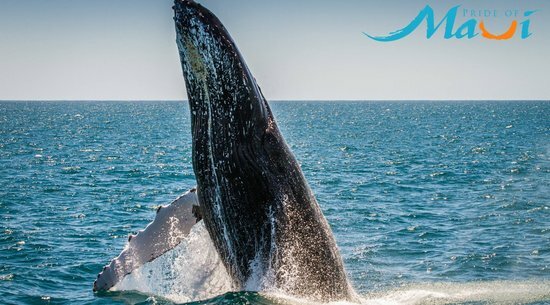 They offer whale watching tours of approximately 2 hours long on their spacious catamarans, departing from Lahaina and Ma'alaea Harbors, and even from west Maui's Ka'anapali Beach! They include an on board naturalist so you can learn more about the whales, and hydrophones allow you to listen for whale songs too! Expect to pay under $50 per adult, with steeply discounted tickets available for children. The Pacific Whale Foundation is a nonprofit, focused on conservation and education. Every whale watching tour features a highly trained marine naturalist who takes time to teach the kids all about humpback behavior. Hydrophones are available to listen for the whales too! One of the great things about booking with the Pacific Whale Foundation is that they offer guaranteed whale sightings, or you go again for free! Depending on what location ( Lahaina or Ma'alaea harbor) you depart from, you'll have the choice of a raft-style boat, sailboat, or catamaran. They offer a wide variety of tour options. Prices start at about $22 per adult ticket, with large discounts available for children. Pride of Maui offers whale watching tours over a narrower window compared to others, usually from December 15 to the end of March. But they have a great reputation for providing guests with a memorable whale watching experience, so are well worth considering. With over 2,500 feet of open deck for you to explore, they claim to have the most stable and roomy vessel on the island. Their 65-foot catamaran even has a glass bottom! Their tours depart from Ma'alaea Harbor, and go for $45 per adult, and include a hot lunch. Large discounts are available for children. Sheralyn Guilleminot is an independent Maui travel expert who made it her mission to discover the best of the island, including the hidden gems that most people never hear about. 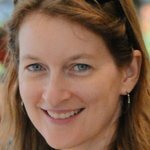 She writes extensively about the island on her website, www.paradise-found-in-maui.com. In addition, she keeps a hula shark on the dashboard of her van, and has a love affair with fine chocolate.